GREATER Western Sydney forward Steve Johnson will miss a good chunk of pre-season training after rupturing a tendon in his thumb in an innocuous accident this week. Johnson, who was married in Sydney on Friday, will have surgery on his left thumb next weekend and will remain in a cast for six weeks. The 33-year-old suffered the injury on Thursday reaching for his phone in a bag. Giants general manager of football Wayne Campbell said Johnson would resume full training in three months. "This is certainly one of the more unusual injuries, but Steve is a professional and coming into his 16th pre-season, we have no doubt he knows how to get himself ready for the season proper," Campbell said. "While he won’t be able to participate in full training for a few months, he’ll still be able to work hard on building his fitness base throughout the pre-season." 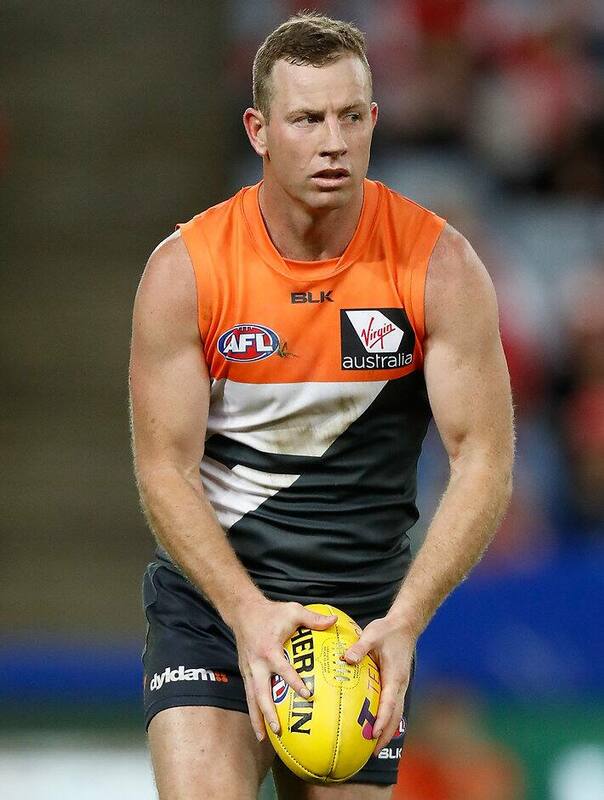 After switching from Geelong, Johnson played 22 games in his first season with GWS, kicking 43 goals, but missed the preliminary final loss to premier Western Bulldogs through suspension. The Giants' first-to-four-year players return to training on Monday, while the club's new recruits, including former Richmond star Brett Deledio, commence on November 28. The remainder of the group, including Johnson, return on December 5.